My preferred grocery store to shop at in our area is definitely Sobeys. We don’t have one in our town so I have to make the 15 minute drive over to Greenwood, NS, but it’s so worth it! They have an excellent selection of products and at good prices. I always pick up their free Inspired magazine when I’m checking out . The holiday issue is out right now and it showcases the new products at Sobeys as well as some delicious holiday recipes! 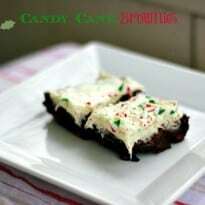 I ended up purchasing the ingredients to make these Candy Cane Brownies this past weekend. They turned out great! It’s easy to a regular brownie into a holiday treat just by adding some icing and crushed candy canes. Preheat oven to 350°F. Grease an 8 inch square baking dish. Using an electric mixer (stand or hand-held) on medium, cream sugar and butter until light and fluffy, about 5 minutes. Beat in eggs, one at a time, until well combined, about 2 minutes. In another bowl, whisk together flour, cocoa and salt. With mixer on low, add flour mixture to butter mixture and mix just until combined. Stir in chocolate chips. Spread batter in prepare baking dish and bake until a toothpick comes out with a few crumbs attached, about 25 minutes. 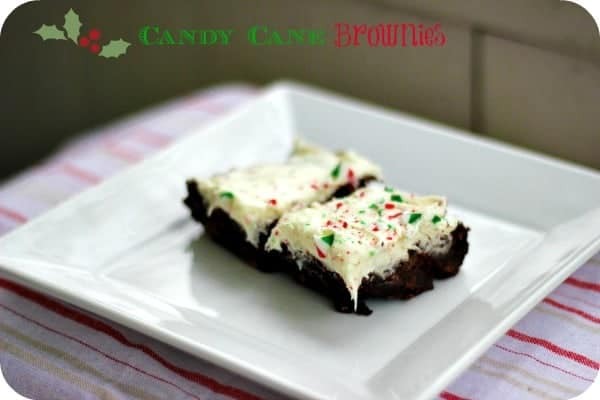 Let cool completely then evenly spread frosting over brownies, sprinkle with candy canes. Disclosure: I was not financially compensated for this post. I received gift cards from Sobeys to facilitate this post. The opinions are my own, based on my personal experience. My favorite combination… chocolate and peppermint! I will definitely have to give these a try….. These will definitely make a nice addition to next years christmas celebration. 🙂 Looks yummy! These look great. I’ve been missing my Williams-Sonoma peppermint bark lately and these brownies would be an easy way to get a similar peppermint/chocolate taste! use your recipe and make them some when they come over next. Thank you for the recipe. Love look really good. My husband will love these. Thanks for the recipe. Pingback: 40 Treats for Santa - It's me, debcb!